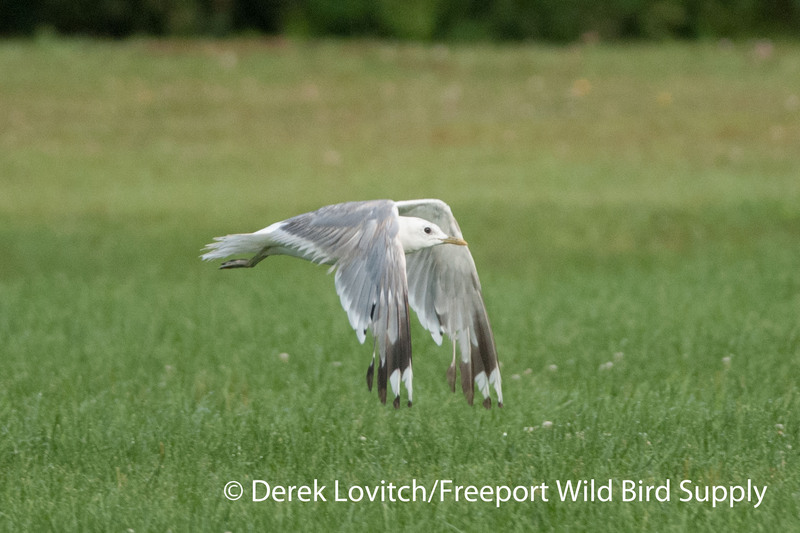 A MEW GULL in Thomaston! 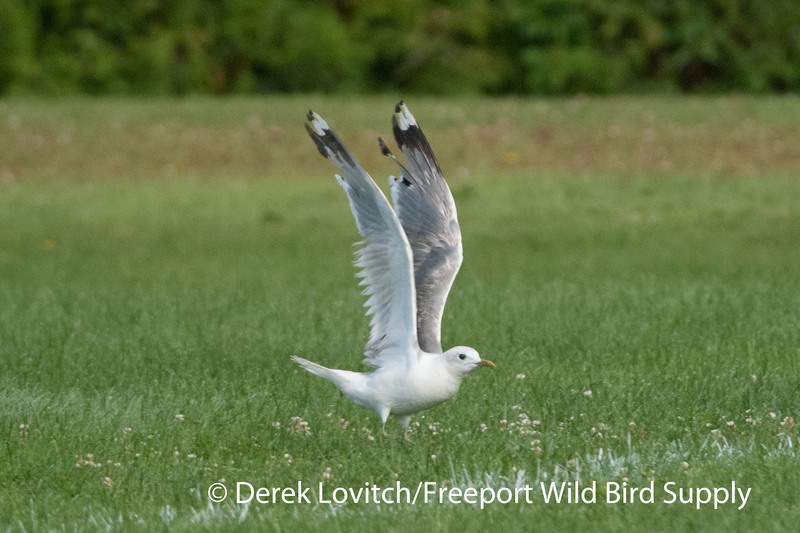 On August 3rd, Don Reimer found Maine’s Third State Record of a Mew Gull in a parking lot in Thomaston. While it was seen in the area for most of the day, it was not seen by anyone on the 4th – myself included – despite extensive searching. However, a few days later, Don relocated it, and it has been seen regularly since, although it is not always in the same place at the same time, and it seems to feed somewhere unknown at low tide. After returning from Hawai’i on Friday, I was happy to see the bird has kindly awaited my return. Today was the first chance I got to head over, and at 7:45 I met Kristen Lindquist in the parking lot behind downtown Thomaston. 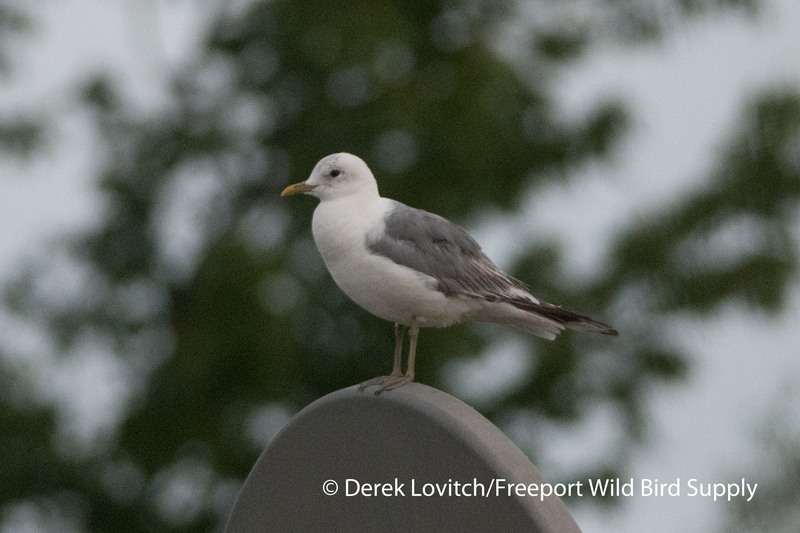 Kristen was studying about 30 Ring-billed Gulls in the parking lot until a birder drove by and flushed them. 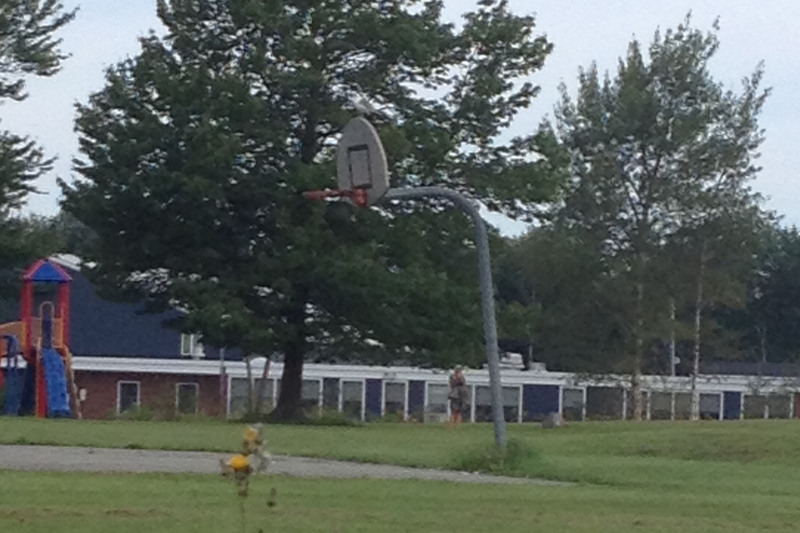 Apparently, a few gulls from rooftops and/or a nearby field joined the flushed birds, and as they settled back down or flew off, I noticed a single, seemingly darker gray bird sitting atop a basketball hoop in the adjacent playground. And sure enough! I snapped a few phone-scoped images, including this one. 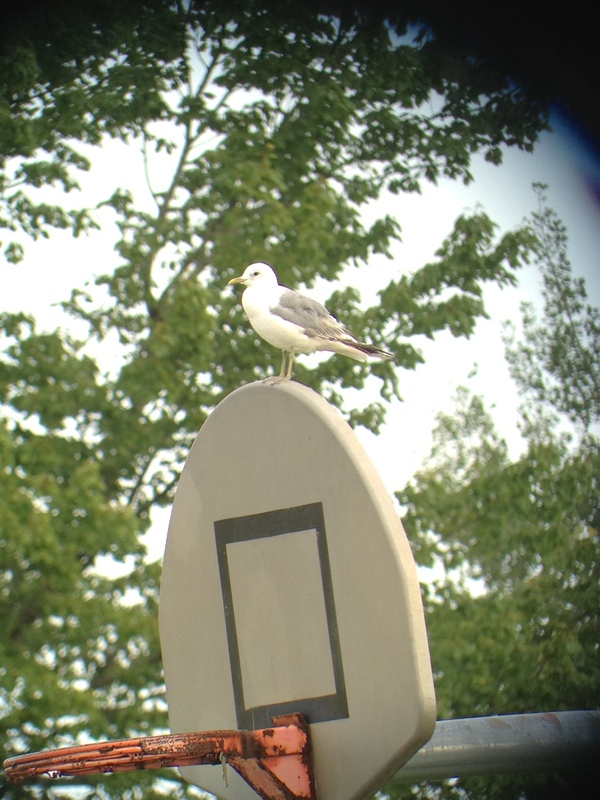 Boy, that was easy, for us anyway (the gull is hard to see atop the basketball hoop here)! 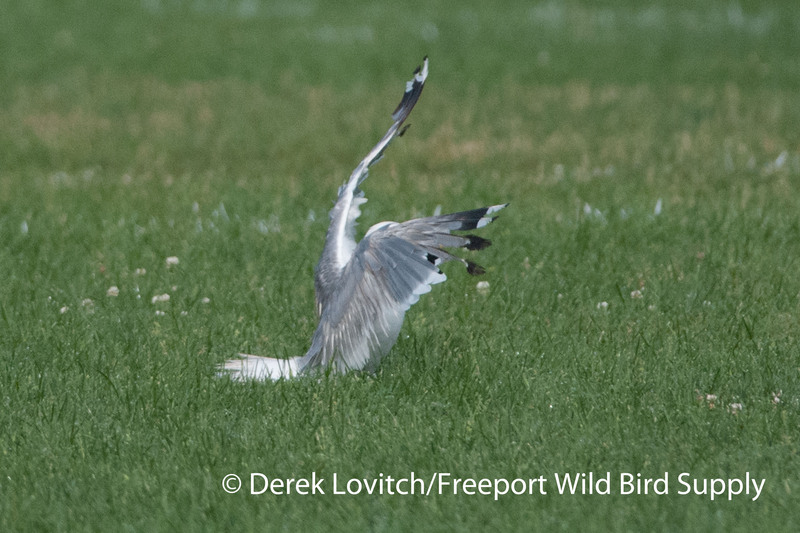 A short while later, it flew to a nearby field next to the Oceanside High School. There, a jogger was doing laps around the track. Although the bird was never too perturbed by this, it did fly a short distance when the jogger would be a little too close for comfort. This afforded me a perfect opportunity for exactly what I wanted: flight and spread-wing photos. Shortly thereafter, it flew off the field and onto the roof of the elementary school where we left it at about 9:00. So, what is this? Other than a big, fat, mess? 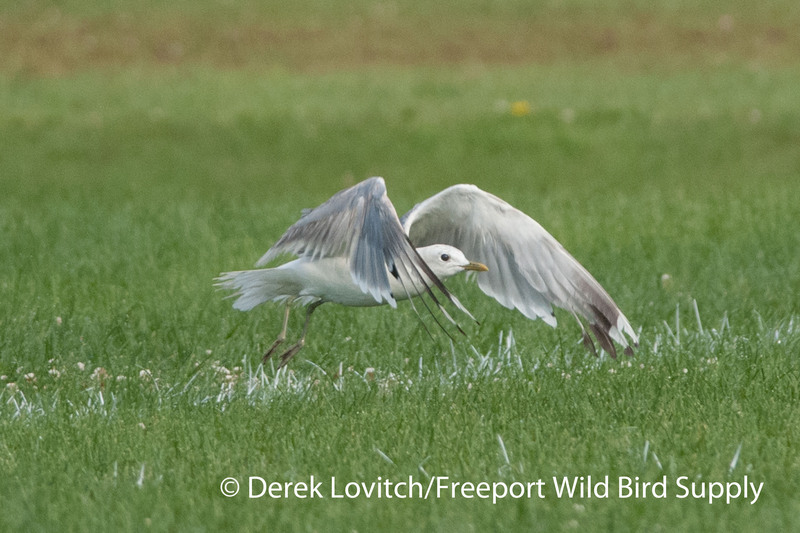 It’s definitely a bird in the Mew Gull (Larus canus) Complex, which here in the States, we refer to as composing four subspecies. 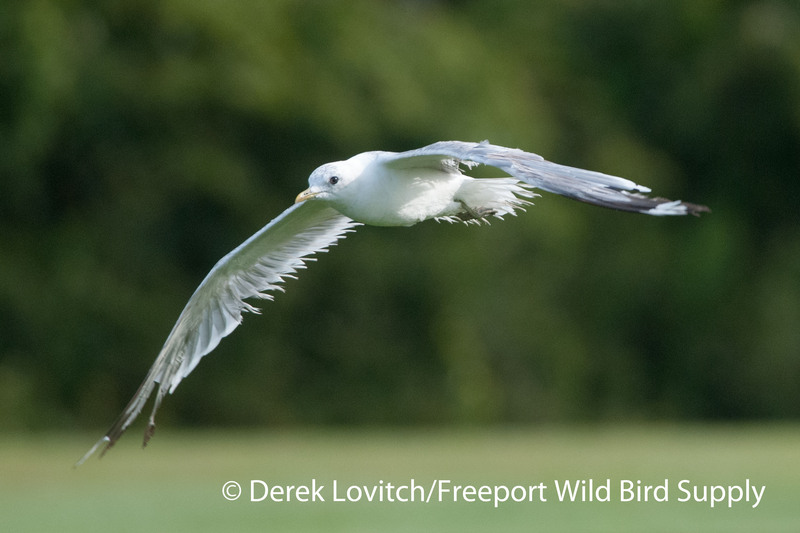 There’s “Mew Gull,” L.c.brachyrhynchus that is common in the west, breeding from Alaska to extreme northwestern Manitoba and south through the coast of British Columbia, and wintering along the Pacific Coast from Washington into Baja California. 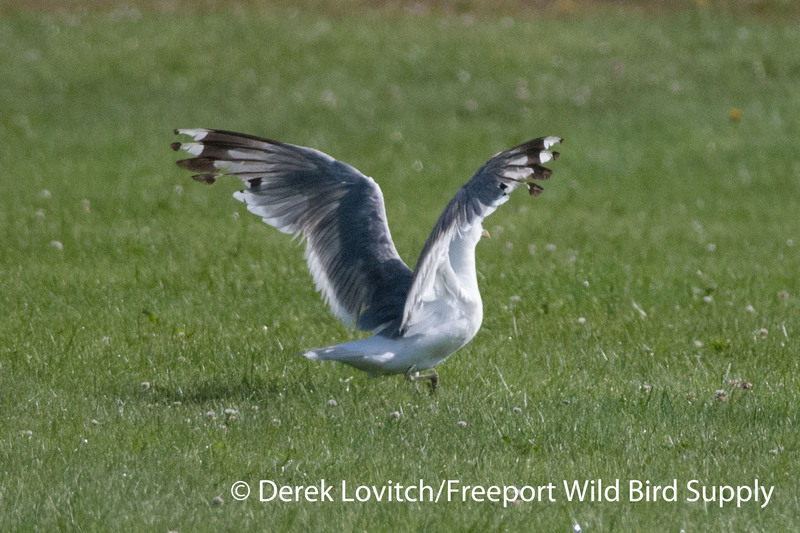 However, vagrants that have been recorded on the Eastern Seaboard have mostly (I believe) been assigned to the expanding European population, L.c.canus, or “Common Gull.” There’s also the “Kamchatka Gull” (L.c. kamtschatsensis) of the Russian Far East that is a regular rarity in Western Alaska, with perhaps a few claimed elsewhere on the continent (I am vaguely recalling one in Massachusetts?). 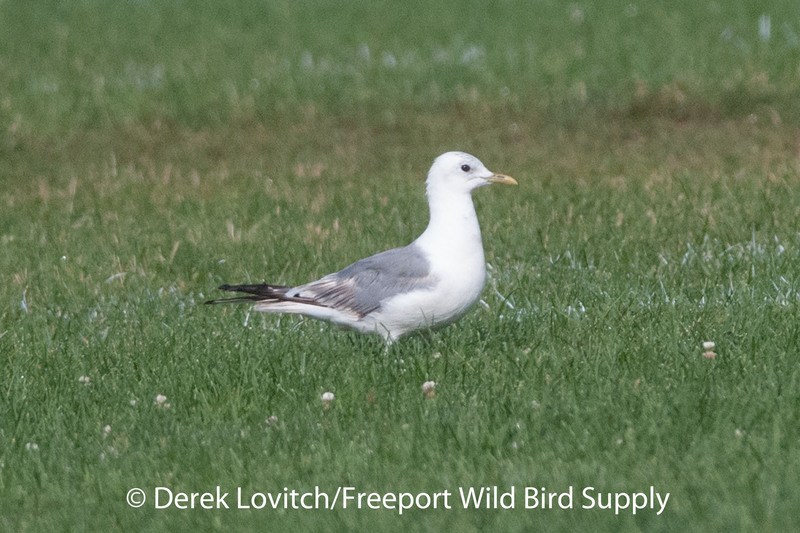 Finally, there is L.c.heinei of Siberia, which may just be an intergrade between Common and Kamchatka Gulls and I am unaware of any possible records of this in North America. 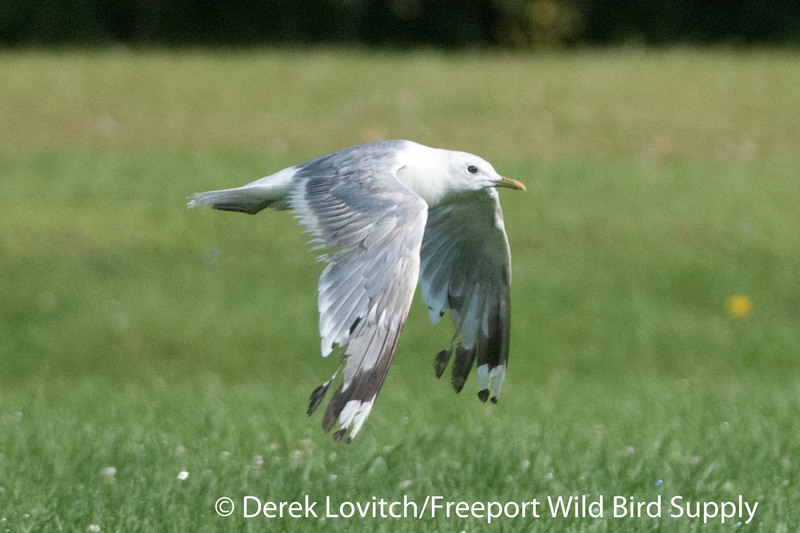 In short, the European “Common Gull” actually seems to be more likely on the East Coast than the North American “Mew Gull.” But most records are from winter, and most birds do not have a plumage as trashed as this individual. 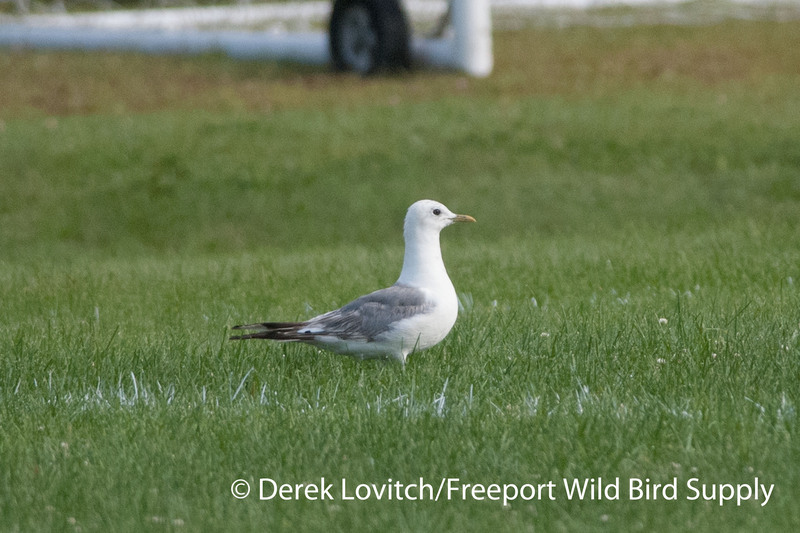 The bird appears small to me, with a relatively thin bill (although it’s on the long side), and a relatively dark mantle, all of which would be points in favor of Mew Gull. However, the plumage is so ravaged, that it’s hard to even age the bird. Is it an advanced 2nd cycle, a retarded 3rd cycle, or an adult that had some really bad days? Intermediate-aged birds in the complex are notoriously, well, complex – and very difficult, at best, to identify. But what can we actually see? – Little to know white between the black and gray on P8 (although this is probably only of value on an adult. – The four new primaries have a fairly broad white tip. – The legs are dull olive-y (subadult-like). – The bill is fairly bright yellow at the tip with an olive-y base (adult-like). – The eye is fairly dark. 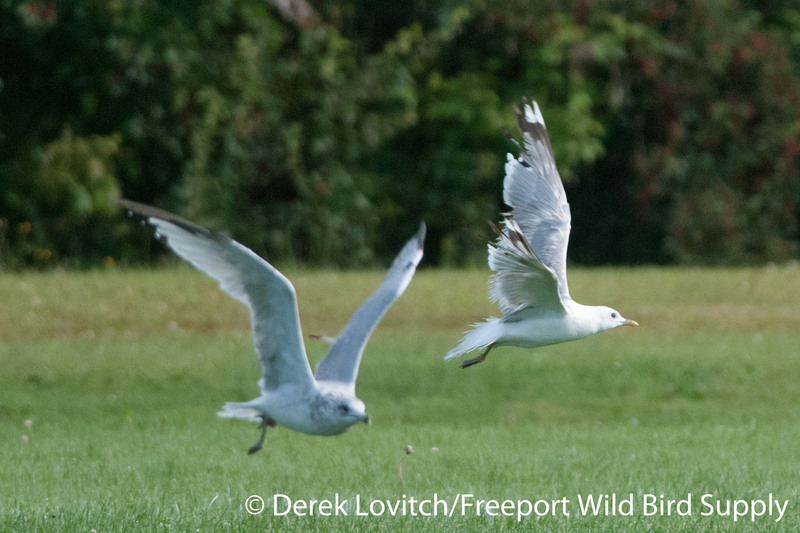 So, we have an odd time of year for a vagrant gull, and we have a trashed plumage. Can we narrow it down to a probable subspecies? 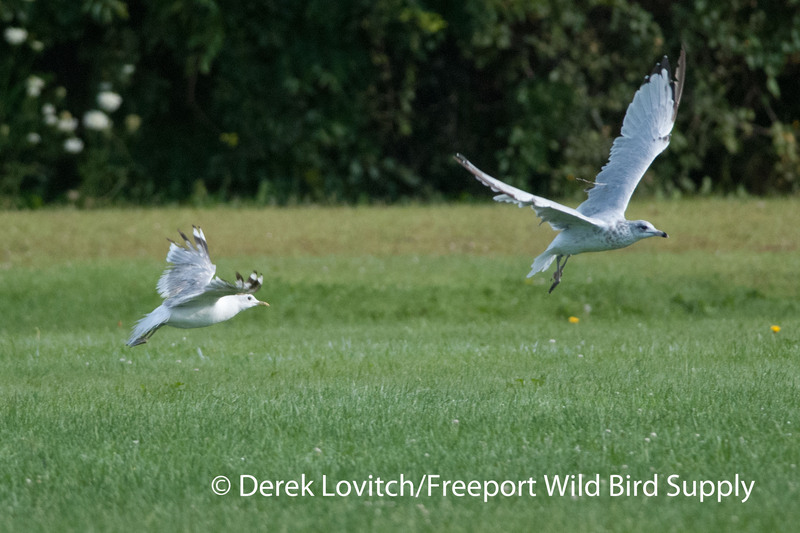 I will be sending this blog out to those who know various members of the Mew Gull Complex better than I do, and I will let you know what I learn. Whatever it is, I got myself a state bird today! Howell, Steve N.G. and Jon Dunn. 2007. Gulls of the Americas. Houghton Mifflin Company, Boston/New York. 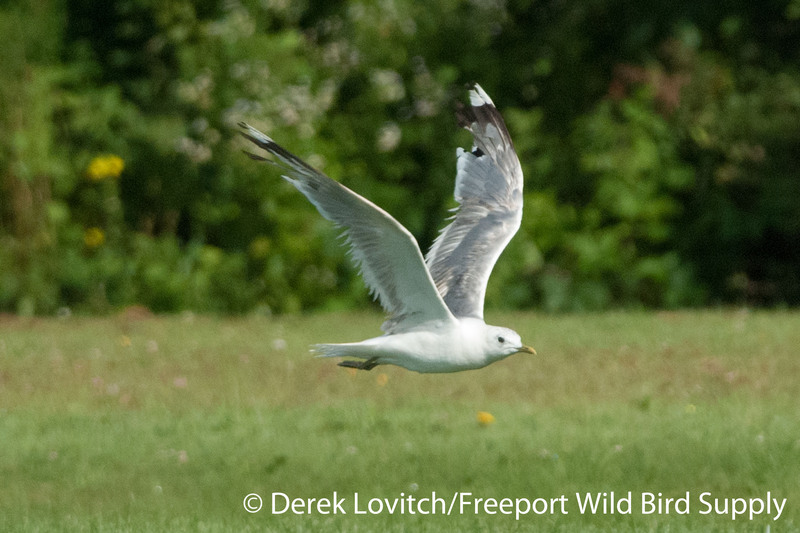 This entry was posted in Birding in Maine and tagged Birding, Common Gull, Maine, Mew Gull, rarities, Ring-billed Gull, Thomaston, vagrants on August 18, 2013 by Derek. m Nova Scotia (see Nova Scotia Birds – I know you do! – and McLaren’s “All the Birds of Nova Scotia”).